Lenovo Philippines unleashed its latest gaming beast, the Lenovo Legion Y740, at the opening of its first ever Legion Concept Store, located in SM North EDSA Annex. 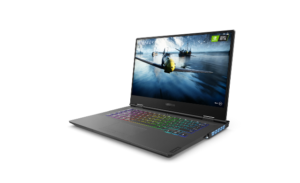 The Legion Y740 gaming laptop is also Lenovo’s first device to have the Nvidia GeForce RTX graphics card. Designed for eSports professionals and gamers who play the latest AAA games, the Lenovo Legion Y740 features the Nvidia GeForce RTX 2060. Powered by Nvidia’s Turing architecture, the GeForce RTX 2060 offers up to six time faster performance than earlier generation graphics cards. The Lenovo Y740 also boasts an Intel Core i7 8750H processor,. 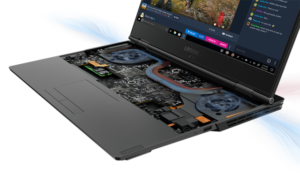 This allows the laptop to handle seamlessly graphics-heavy games like Shadow of the Tomb Raider, Battlefield V, and Anthem at either 1080p or 1440p resolution. It also has 16GB RAM and 1TB + 256GB SSD memory. When it comes to built and design, this new Lenovo gaming machine brings the thinnest and lightest body among similarly specced and priced Nvidia RTX-powered devices. The Legion Y740 features a 15.6-inch FHD IPS display with slim bezels. Plus, it’s only 19.9mm thin and 2.2kg light. The laptop also features a Corsair iCue-powered RBG keyboard and USB-C Thunderbolt 3 support. The Lenovo Legion Y740 is available for P119,995 at the Legion Concept Store, Lenovo Concept Stores, and major electronics stores nationwide. This laptop already comes with two-year onsite warranty. Lenovo also has a limited time offer where you can avail of a free JBL Clip 2 and Lenovo Accidental Damage Protection (ADP) support worth up to P9,000 if your purchase the Legion Y740 on or before March 31.